Long before the topic of the lack of female directors in Hollywood became the flavor-of-the-year issue, Tara Johnson-Medinger was on the front lines fighting against the status quo. 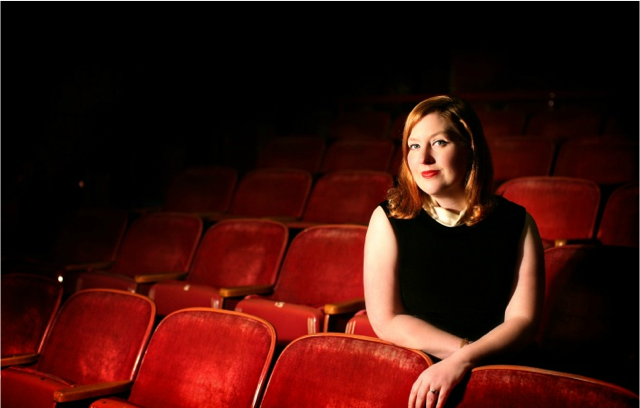 Johnson-Medinger has been a pioneer in the support of women in filmmaking for the past nine years as the executive director of POWFest: The Portland Oregon Women's Film Festival and its little-sister program, POWGirls. I met Johnson-Medinger when my film, Ending Up was at POWFest, and I was inspired by her infectious energy and uncompromising commitment to the support of women in film. Johnson-Medinger was living in Los Angeles and working as a TV executive at Fox when 9/11 hit, and the tragic event left her questioning what she truly valued. She had a feeling that there was something more for her to do, and left her high-profile job, moving back to her home town of Portland to a career of uncertainty. IN 2004 she started Sour Apple Productions, an independent film production company, and in 2008 she founded POWFest. While many other women's film festivals require a woman in only ONE of the lead positions--producer, writer, or co-director--POWFest requires that submitted films have a woman as director. I've spent enough time at Film Festival Q&As, standing beside 27-year-old white male directors, to understand that this is not only refreshing, but also important. Since its beginnings, POWFest has created a community of women filmmakers and has brought in successful, pioneering women directors like Kathryn Bigelow, Amy Heckerling, Barbara Kopple, Gillian Armstrong, Allison Anders, and this year, Catherine Hardwicke, to inspire emerging female directors. In 2014, Johnson-Medinger launched POWGirls: a youth-centered mentorship program designed for girls ages 15 to 19. Over the course of four to five days the girls develop, produce, and edit a film which, is then presented during the Youth Shorts program at POWFest. It's a truly empowering experience for the girls who participate, leaving them beaming with pride as they present their finished films. 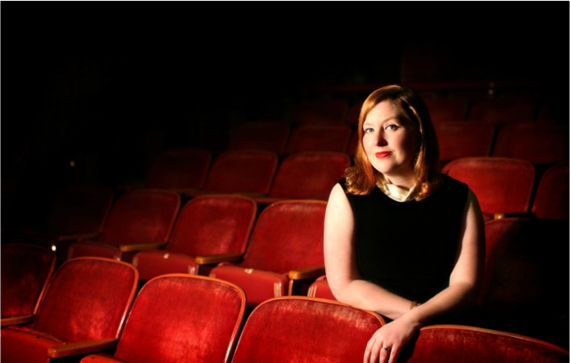 A producer/director, herself, Johnson-Medinger has experienced the glass ceiling firsthand. She works tirelessly to foster change by giving female directors a chance to shine and giving young girls a creative, empowering experience. These days, at 45, Johnson-Medinger has a full plate: two young children, a thriving film festival, POWGirls, and a production company. She served as a co-producer on the film The Winding Stream, a documentary about the Carter-Cash family that premiered at South by Southwest Festival in 2014 and was released theatrically this past fall. She is currently in pre-production on her first film, My Summer as a Goth, which she will co-produce and direct this summer, learning firsthand what it means to be a woman director. During all this she managed to find some time to sit down with me and reflect on her accomplishments. TARA: After the birth of my daughter my eyes opened to the opportunities (and lack there of) for her in the future. This was also the time that the disparity in the director's chair was being discussed more aggressively among filmmakers and the decision makers in Hollywood. I started paying attention, read the statistics, and realized that I needed to do something not only to preserve my own voice as a producer and filmmaker, but other women's voices as well. PMK: Are you a feminist? TARA: Yes, I am a feminist. The subject of feminism in 2016 is a complex one, but I think there has been an interesting cultural shift recently. Women are asking aloud what it means to be a feminist, embracing the title instead of distancing themselves from it. The film industry is also taking real action on behalf of women directors right now. This is really just the beginning. Many prominent women, including Catherine Hardwicke, POWFest's 2016 Guest of Honor, are publicly stepping forward to talk about their experience in the Hollywood system. By vocalizing their experiences, we will be able to see real movement in terms of equality for women and people of color in this industry. It will take some time; however, there is a revolution going on, and I am excited to be a part of that. PMK: Why did you start POWGirls? TARA: I have been inspired by youth-based media programs for some time, and I liked what they were doing. I saw the power and self-confidence in young girls that are allowed to shine through when they're given the space to create without the pressures of a coed environment. I saw the need here in Portland to design a program specifically to give young girls a voice through filmmaking--so we made it happen. PMK: How has POWGirls evolved? PMK: There is a perception in the film industry that the pool of qualified women filmmakers is smaller than that of qualified men. You program ONLY films by women directors--are there some years where it's hard to find enough quality films to program? TARA: Oh no, never! This year alone we received over 1,000 film submissions from women directors from around the world! Even when we started, we were overwhelmed by the number of top-notch, women-directed films we received. PMK: What direction will you take POWFest and POWGirls next? TARA: Our mission is to provide scholarships, filmmaker grants, travel funds, and more to women filmmakers so they're able to compete and thrive as leaders in the media industry. Our goal is to be fully self-sustaining, but in this moment we still need support from major donors and sponsors to reach that goal. Ultimately, we will be relying on sound investments in women-made media, reinvesting profits into our programs to ensure that our first priority is always increasing the visibility of women in the media industry. PMK: Your story is really about reinvention. If you were still at Fox you'd be making gobs of money, but you wouldn't be having such a positive effect on established and emerging women directors. TARA: At every stage of your life, reinvention is possible when you set your mind to it. I'm in the midst of another reinvention at the moment, co-producing and co-directing my first feature film, My Summer as a Goth." With all my work. I feel like I'm contributing to the betterment of society, showing that women are truly capable if given the access and opportunity. I see the benefits of what we're doing with POWFest permeating women's lives, and that's truly powerful.